Fancy a tasty sneak peek from my new online children’s nutrition course: How to Help Your Kids Live to 100? 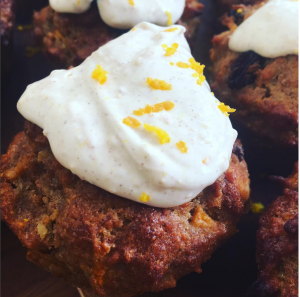 Try these yummy Orange and Carrot Cake Breakfast Muffins! 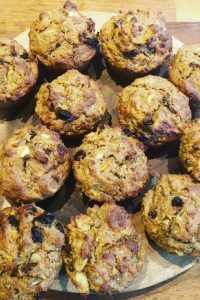 These delicious muffins are great to have ready baked for a quick breakfast in the morning – especially if you’re rushing off somewhere fun during the summer holidays! They are packed with fibre, protein, healthy fats and low in sugar… plus they have veggies inside them too! I’ve used a little bit of dark brown sugar in this recipe. It’s always a battle between making something sugar free and something that most kids will eat… but there’s only a couple of tablespoons, the rest of the sweetness comes from a little maple syrup, the raisins and sweet spices. Mix all the dry ingredients. Grate the carrots and stir into the dry ingredients. Beat the eggs, add the wet ingredients. Then pour over the dry ingredients and stir well. Put into muffin trays either directly into a silicon muffin tray, or into paper cases in a metal one. Bake at 180C for around 18 minutes, until firm. Allow to cool for 10 minutes, turn out the muffins and leave to cool on a wire rack. Meanwhile, mix the frosting ingredients together by beating the cream cheese first, then slowly adding the orange zest, cinnamon and honey or maple syrup. Once the muffins are completely cool, put a dollop of the frosting onto each muffin and smooth out. You could sprinkle with more orange zest, some lavender or a cinnamon dusting. Keeps for several days in the fridge. Like this? You’ll love my recipe for Chocolate and broccoli muffins, click here to read it. 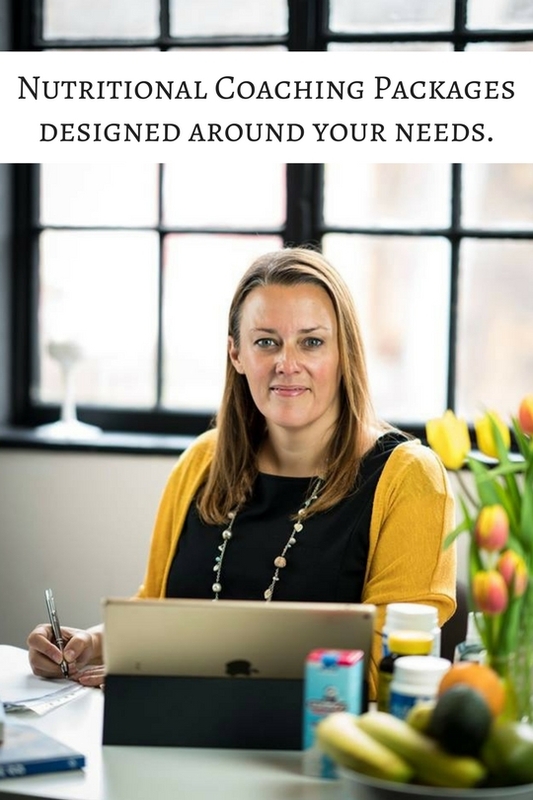 Want to know more about How to Help Your Kids Live to 100? Click here!